Discover why the remembrance of Mary-Isis-Sophia, the Sacred Mother is so important and how Mary Magdalene is helping to return Her wisdom to our planet. Usher in the Age of Aquarius with the knowledge of the Ancients! 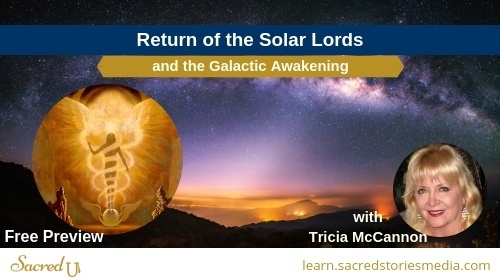 As the Earth crosses the Galactic Equator discover the Solar Lords, the Light Bringers who come to awaken humanity and renew the world. Walk alongside the Masters as you learn the deep esoteric knowledge of the hidden history, teachings, mission of Jesus, and the Mysteries of the ancient Secret Schools of Initiation! Deepen your path to Mastery and begin your quest to decode the magical Mysteries of Ancient Egypt - the Motherland of the Mysteries, the foundation of Western Civilizations, and the Way Shower to the Stars. Activate Your Sacred Alliance with Nature! Amplify your intuitive abilities with the natural realm by connecting with the plants, animals, rocks, and elements through your energy channels of hearing, seeing, feeling, and knowing. Journey through the elements of Water, Earth, Fire, Air and Spirit. Awaken your Shakti to its fullest form. 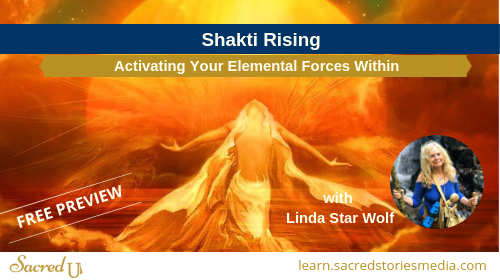 Connect with powerful Goddess archetypes and experience integrative rituals to activate your Life Force Energy! Explore the role of the Shaman and connect with your Spirit Guides, Allies and Ancestors as you learn to enact sacred ceremonies and bring Shamanism into your everyday life! Write the book that your Soul is ready to write! Receive step by step support with how-to writing tools and spiritual guidance. Receive the writing tools and spiritual support you need to finish writing your book - a book that matters! The world is waiting! Let Your Soul Speak. Write your book from message to completed manuscript!